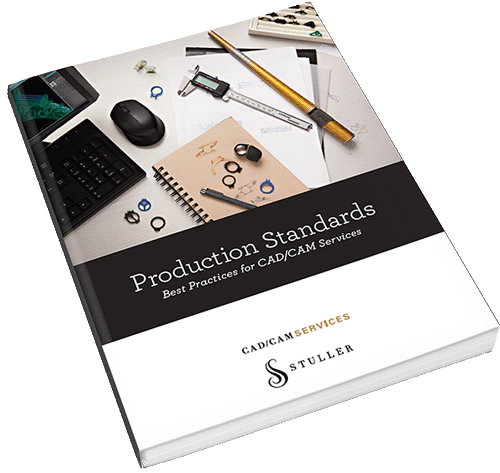 I highly recommend this book to anyone wanting to get started, or wanting to further their knowledge of Rhino 5.0 for jewelry making. The step-by-step instructions in this book are thorough, detailed, easy to follow, and more importantly easy to understand. 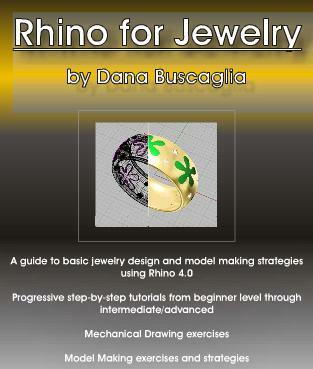 “Rhino for Jewelry” is an excellent resource & guidebook to learning some of the core modeling concepts in Rhino 3D. The information you’ll find inside covers key modeling concepts specific to jewelry making. Each tutorial is well thought out & thorough with each lesson introducing a new set of essential modeling commands and techniques. 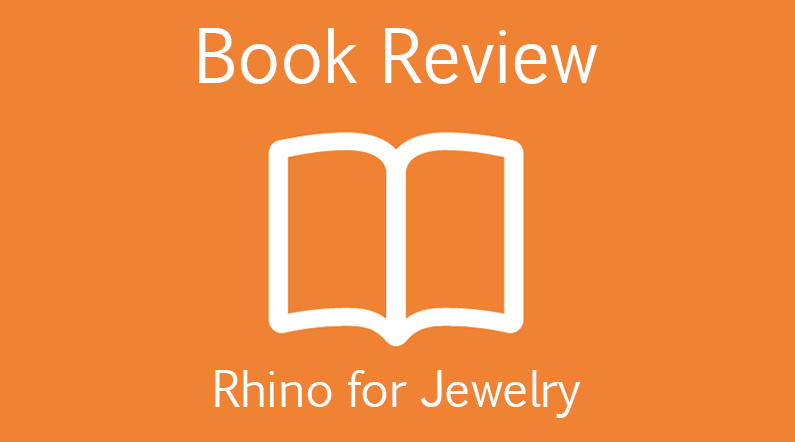 I highly recommend this book to anyone looking to learn the basics to more advanced modeling concepts & functions in Rhino for jewelry making & product design. Go through this book from the beginning, and go through each of the chapters step-by-step. If you feel that you struggled understanding an exercise, I recommend that you repeat it. Trust me, the extra time spent will pay off! Try to use Rhino in your own design work as soon as possible. That is the way you will really learn it. Also you should consider combine the learning from this book with some Rhino training courses. You will always learn something more with each course that you take. We offer RhinoGold Essentials for beginners, which is a great starting point. Dana Buscaglia has had many years of experience as a designer for the jewelry industry, both in-house and freelance, and has been teaching CAD for jewelry since 2004. In the late 1990’s she became interested in the possibilities of CAD for jewelry design. Since then she has used Rhino 3D software, both as a designer and as a model maker, creating models for 3D prototyping. Dana has been teaching CAD for jewelry since 2004. If you would like to purchase the book I can thoroughly recommend it. It is available via the link for US$67.50.